Psychology professor at the Faculty of Social Sciences of the University of Iceland, Erlendur Haraldsson, researched the strange case of Purnima Ekanayake, a girl who claims to have been a manufacturer of incense who died in a traffic accident. Over time Purnima talks became more bizarre, she started talking about having another mother and another father, who worked in an incense factory. She also talked about a terrible accident with a Zoku (a kind of bus). Despite the strange “statements”, Purnima’s parents did not pay much attention, thinking it was just a smart girl and with great imagination. Her parents, surprised, concluded that her daughter seemed to have memories of another person, or more specifically, from a past life. For three years, Erlendur Haraldsson investigated the claims of Purnima, the research methodology consisted of interviews with all witnesses involved, together and separately. According to the memories of the previous life of Purnima, she had been a man. He worked in a factory incense and knew the name of the brand: Ambiga. According to her, he was the best incense maker in the family. Also reported his death: “After the accident, I just closed my eyes and came here”, “I was hit by a bus” “A piece of iron was in my body,” she said. With this information, Sumanasiri began his research. He asked the locals if they knew any of incense factory in the area. There were three, all of them small family businesses. To the surprise of Sumanarisi, a company called Ambiga manufactured incense and Geta Pichcha. Posing as a buyer of incense, Sumanarisi began to ask some questions to the owner of the factory: La Wijisiri. At one point in the conversation, Wijisiri said his brother Jinadasa had died in an accident with a bus when bringing incense from a market riding a bicycle in September 1985, two years before the birth of Purnima. Wijisiri did not like the visit, let alone having a conversation with Purnima, so he asked everyone to leave, but Purnima started talking about incense, how it was made and asked about the packages of incense made by the family. “Have you changed the packages?” Said Purnima. Wijisiri was silent. After the death of his brother Jinadasa, Wijisiri changed the color and design of the packages. Purnima also asked about his knee. Wijisiri had suffered an accident and had fractured his knee, it was Jinadasa was who took care of him. “How is Somasiri and Padmasiri?” Said Purnima. Somasiri and Padmasiri were Jinadasa’s best friends. Everyone gasped as the conversation became deeper, Wijisiri was convinced that something astonishing had happened: Purnima was the reincarnation of Jinadasa. Purnima was born with prominent marks on her lower chest. When Purnima’s family met Jinadasa the girl talked about these marks, she said the wheels passed over her chest and her left side. “This was the mark that I got when I was hit by the bus,” said Purnima Wijisiri. Wijisiri knew Jinadasa’s fatal injuries had occurred on the left side, just below the chest. Jinadasa was killed instantly, it was another brother, Chandradasa, who told the family after seeing the serious injuries on the left side of the chest, that the lower ribs seemed to want to get out. Some of the most significant details of this case are, the two families were very remote and completely isolated from each other. Fourteen of seventeen matching statements were found and reviewed from events that happened in the life of Jinadasa, who died two years before the birth of Purnima. Birthmarks of Purnima matched the area of Jinadasa’s fatal injuries. The girl also had knowledge of the making of incense, something highly unusual for a little girl. In general, all these aspects: memories, birthmarks and self-knowledge, make the case of Purnima Ekanayake quite unusual. Let’s look into other reincarnation stories. Cameron’s mother said his son had told her on more than one occasion events that occurred on the island of Barra. The mother testified that the boy had never been in this island, but he talked about his family, his father, who had died “for not looking both ways”, his brothers, who says were playing in the beach, etc… The boy says he had a previous life, and is concerned, given that his family does not believe him. His mother says that he complains that “at home there is only one bathroom while when I lived on the Isle of Barra we had 3 bathrooms.” Many times the small Cameron cries because he says that his mother must be missing missing him. He wants his family in Barra to know that he is okay. Read also: Do Christians Believe In Reincarnation? As the child grew, the information he told about his old life was more precise. He said he had a black and white dog and a black car. He said his mother had long hair, and that his current mother and her would get along. He ensures seeing planes landing from the window of his house, and even on one occasion, he told his mother, if they ever went to Barra, he would show her a hideout from where he and his brothers escaped to the beach . Another surprising fact for the accuracy of the information given by the boy is the name of his father, Shane Robertson. 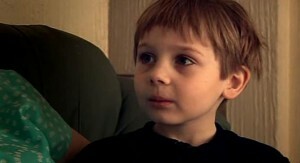 The boy’s mother, worried about her son, contacted the psychologist Jim Tucker, a specialist in cases of reincarnation. They traveled to Barra in 2005. Upon arrival, they contacted the islanders, asking if they knew a white house on the bay, matching the description that Cameron gave. They also asked about Robertson, but nobody knew him. But on the next day, they received a call from the hotel where they were staying, telling them about the existence of this house and this family. But only the adults heard the news. So they decided to drive around the area of the house, to see if Cameron could recognize it. And so, the boy pointed where the place was. But in the house there was no signs of any Robertson. Still, they were allowed to go inside. The boy knew every corner of the house, and even remembered the cracks. He was sad because his home was not as he remembered. After a few days, they made contact with a lady named Robertson, who claimed that she had family that had lived on the island. She showed them some pictures, and in them appeared the so often said black and white dog and also the black car. Everything Cameron had told was true, but only missed one fact: Mrs. Robertson did not remember anyone in her family who was called Shane, also nobody who had been ran over and killed. Norma, the current mother of Cameron, said that it was a good decision to take her son to visit his old house. Also that Cameron never speaks of death; only once he has told a friend not to worry about dying, that if he died he would return. In India, reincarnation is seen as an irrefutable fact. However some time ago came to public light a curious and surprising reincarnation story that despite having been extensively studied by scientists failed to be proved as a fraud. The wonderful thing about this case is the incredible number of memories of his past life that the reincarnated child can have. A fact that although happened several years ago, is still preserved as a clear proof that reincarnation is real. This story starts on January 19, 1951, in India. A boy named Munna, a six-year-old, was playing in front of the store of his father who was the barber in town. Two passing strangers suddenly took the child without anyone noticing, they took him to a distant place, where he was later murdered. The father, noting the absence of his son begins a search in the areas around the city, only to find that the child had been beheaded at the edge of a river. Soon the men guilty of this horrible crime were found and handed over to the police, but there was not enough evidence of the crime, so they were released. The child’s family was devastated and his mother started suffering of severe nervous breakdowns. Six months later, this story begins to take a dazzling path when in another city in this country a child is born, and in his early years begins to show some strange behaviors. At the age of two he asked his parents to take him to his previous house, so he could see his parents and his old toys. Besides this, the child has a strange birthmark that crosses the front of his neck. Sometimes this fearful child talks to his parents about his other life. Where he was killed by two men. Telling details that until that moment were unknown to the public. This gets the attention of Munna’s father who in various occasions tried to approach the boy, until his parents finally agreed. As soon as the child saw the barber and his wife, he approached them and embraced them intensely. He had recognized them. At that time he was only 4 years old. This beautiful story has been investigated by Professor Atreva, from the city of Varanasi and Dr. Jamuna Prasad, who after speaking with both children’s families concluded to accept the obvious truth: another case of reincarnation. Dr. Jim B. Tucker of the Department of Psychiatry at the University of Virginia, announced the story of Sam in a video posted on the website of the university. Dr. Tucker has great experience with cases of reincarnation, he has studied more than 2,500 cases of children who can remember their past lives, and said Sam made some startling statements as he looked at old family photo albums. Parents were surprised to see that he was pointing his grandfather’s first car, one that was very important in his life. 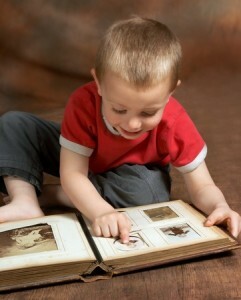 But Sam’s mother was skeptical and had never believed in reincarnation stories. 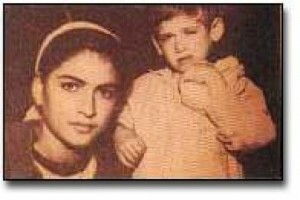 So she tested him, showed him a photograph of his grandfather when he was a child with other children of the same age. Sam pointed to his grandfather and said: “There I am.” She corrected him and said: “That’s your grandfather”, to which he replied: “No, that’s me”. Surprisingly, Sam was talking about his grandfather’s sister, who was murdered and the body thrown into a lake. Sam’s father said the boy did not know that story, because they never talked about that tragic episode in the family. Still, we cannot ignore the statements of skeptics like Dr. Michael Shermer, publisher of Skeptic magazine, who asked Dr. Tucker how he knew that Sam’s case was not manipulated. Dr. Shermer said Sam’s case and that of thousands of similar cases are based on simple stories told by parents, and the events can sometimes become distorted when explained by an excited father, also that parents can influence children in various ways. To these statements, Dr. Tucker said he investigated the family and found no correlation between this attitude and what the child explained. To demonstrate the veracity of this reincarnation story, Dr. Tucker said that some children have given detailed information of the places they lived in previous lives. Also when talking about people who had recently died, the lives of those people fit the descriptions given by the children. Finally, Dr. Tucker said that for him the ultimate proof that Sam was the reincarnation of his grandfather was the photograph that the child pointed, where he would not have been able to tell which of the people in the photo was the grandfather even having seen other photos of him. As we have seen, this case is another irrefutable proof of the existence of past lives, and as there is much controversy on the issue of reincarnation at the very heart of the scientific community. This is a very interesting story of reincarnation, it occurred in 1957 in England. 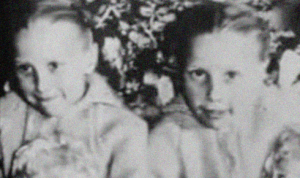 The Joanna (11) and Jacqueline Pollock (6) sisters suffered a car accident in which they were run over near the sidewalk and died. Mrs. Pollock became pregnant one year after the date of the accident and her husband had told her he had a hunch that this birth would bring twin girls who were their daughters, the same who had died a year before. The odd thing is that the gynecologist who treated Mrs. Pollock said he did not expect more than one baby, but Mrs. finally. Pollock had two girls. These were called Jennifer and Gillian. The girls’ father noticed that one of the babies had, above her right eyebrow, a scar identical to that of her daughter Jacqueline who had fallen when she was three; and the other girl in turn had a mole the size of a thumb, in the same place as had their second deceased daughter. 4 months later, the family moved to another village, but after two and a half years they went back to visit the same place where they were born, and their parents found that the two girls knew the place very well. Even without seeing the school, they could point a finger to where it was, and the same thing happened when they pointed to place where the swing and slide were. When the girls went through their old house they recognized every place immediately. When the girls turned four, their father opened the box in which he kept her dead daughter’s old toys. The strange thing for the parents was when each girl acknowledged which toy belonged to each, and even called the dolls by the name the deceased sister used. But also, the girls showed fear of passing cars and personally had the same behavior as their previously dead daughters. In 1956, a boy named Ismail Altinklish was born in Turkey, claiming since his early childhood to have been in a previous life, a gardener named Abeit Szulmus, killed by a blow to the head. The child had a scar on his head, in the same place where Suzulmus he had been beaten, and used to tell to his family an entire series of details about his previous existence. Abeit Suzulmus, who lived in the region of Bahcheche with his wife Sahida and their two children, had been killed by several of his employees, who crushed his head with an iron bar. The little Ismail Altinklish had always asked his parents to take him visit the home of his previous incarnation, and he finally succeeded. When they arrived at the former home of Sulzulmus, the boy could recognize all that had belonged to him and his parents found that everything fitted the descriptions the child had given earlier. One of the daughters of Abeit visited Ismail, and later, after a long conversation with him, was convinced that her father had reincarnated indeed in the young Ismail Altinklish. This is probably one of the reincarnation stories that has been well documented and proved to be true. Jenny is a British woman who knew from a very young age that she had lived another life. She knew her previous name was Mary, a young woman who had lived in Ireland in the 30’s. And worst of all, that her early death had left her six children helpless. A desperation that she could still feel like a strange shadow. This was a weight that pushed her to unravel all those apparent memories and sensations. At eight years old, Jenny Cockell knew she had not always lived in England. Her dreams were always focused on the wet Ireland during a time of hard work and survival. She also knew that her name had not always been Jenny. The other woman, who lived in her dreams, her name was Mary. But she never could remember her last name. Jenny always tried to have a somewhat normal life. Only a few knew that in reality, her life was halved because every day new pieces of the daily life of a woman named Mary came to her thoughts. She knew that Mary, the Irish, walked a lot, her house was near a stream and her hands and fingernails were always dirty from the ground potatoes she harvested and collected. She knew that she sometimes would go hungry and never ate meat. Only flour, bread, vegetables… An area near a railroad. Jenny also knew that Mary had died during childbirth at age 35, and that her death was with great despair and rage. It was too soon, her children were still too young to be left without a mother. What would become of her 6 children? Such was the intensity of those feelings and emotions that Jenny Cockell underwent regressive hypnosis. And what was the result? The memories and suffering became more vivid, more details started to appear. 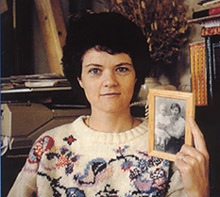 This woman’s story of reincarnation got to the BBC, who was very interested in this sort of cases. They published it in various media formats and, to everyone’s surprise, the repercussion reached Malahaide, a small village in Ireland where a farmer had identified Mary and her six children. Her last name was Sutton and she had died in the Rotunda Hospital in Dublin on October 24, 1932, because of gangrene, pneumonia and toxemia. And didn’t leave six, but seven children behind. Jeffrey (1923), Sonny (1924), Philomena (1925), Christopher (1926), Francis (1928), Bridget (1929), Elizabeth (1932). The farmer tracked down her third son, Jeffrey, in Ireland, who gave him the addresses of two of his brothers Sonny and Francis. And what happened then? Was Jenny to know? Yes, she contacted all of them, developing a very special bond with Sonny. For the details provided, memories and words, each of these people recognized their real mother in Jenny. The suffering has now been attenuated, the mother’s pain about leaving their young children was softened knowing that they had survived, were older, elderly actually and had led a full life remembering her mother, Mary Sutton, who gave everything for them. It’s hard to believe, an amazing reincarnation story that serves to make us think about the afterlife. Read also: How Long Does Reincarnation Take? Another of the most famous reincarnation stories is that of Engin Sungur, born in December 1980 in the Hospital Antakya, Hatay, Turkey. When Sungur was a young boy, he traveled with his family away from his hometown of Tavla. While traveling, he pointed to a village through which they passed, called Hancagiz, and said he used to live there. He said his name was Naif Cicek and that he had gone to Ankara before he died. In fact there was a Naif Cicek who had died in that town a year before Sungur was born, but Sungur’s family would not know that for some time. They did not comply immediately with his request to visit the village of his past life. After that, Sungur’s mother took him to Hancagiz to meet the family of Cicek. The child correctly identified several relatives, including the widow of Cicek. He pointed at an oil lamp in the house of Cicek and said that he had done it himself. He also told a story of how his son had hit him once with his own truck while pushing it. This concludes our article on reincarnation stories found across the world. Keep reading this website to learn more about reincarnation and life after death.